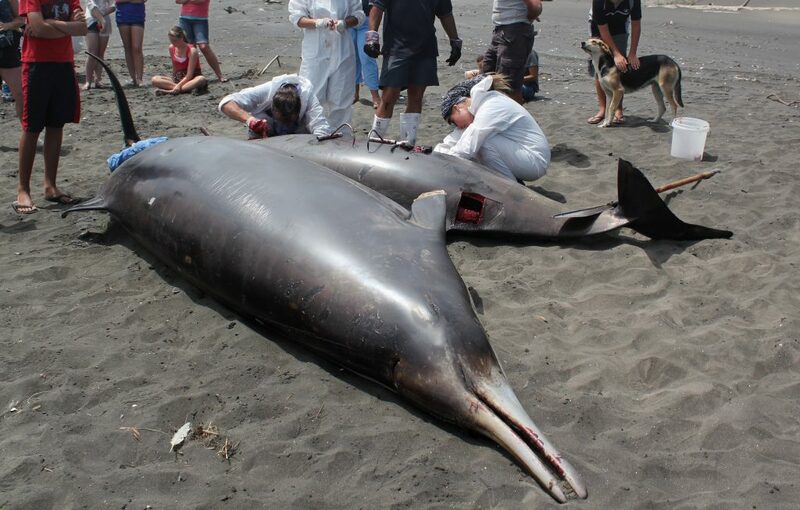 Sciblogs | What causes whale mass strandings? University researchers conduct an autopsy on a female beaked whale, probably a Gray’s beaked whale, stranded on Sunset Beach, Port Waikato, New Zealand. Credit: Avenue / Wikimedia. Featured image: Whales stranded at Farewell Split, South Island, New Zealand, December 20, 2005. Wikimedia.